Martin hoarded lots of classified documents, not only from NSA but also from a number of other military and intelligence agencies. The FBI is still comparing them with those from the recent Shadow Brokers leak and a range of other NSA leaks from the past few years, but given what's known now, it seems likely that at least one other leaker is still at large. 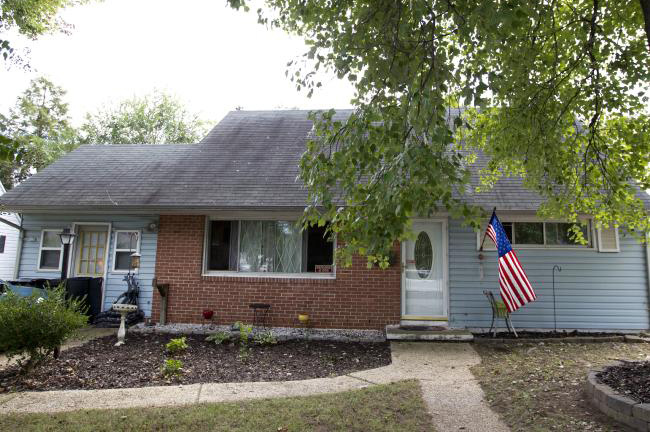 The New York Times reported that when the FBI raided Martin's house on August 27, they found paper documents and many terabytes of highly classified information, even going back the 1990s. At least six documents were from 2014. It was reported that Martin first took the classified documents on paper, later on CDs and more recently on thumb drives. The reason why Harold Martin brought home and stored such large numbers of top secret documents isn't yet clarified. One suggestion is that he may have used them for research for his dissertation about "new methods for remote analysis of heterogeneous & cloud computing architectures", which he was working on at the University of Maryland. As the Washington Post found out, he then took a variety of tech jobs with government contractors, like at Computer Sciences Corp. (CSC) somewhere in the 1990s and later, until 2009, at Tenacity Solutions, for which he worked at the Office of the Director of National Intelligence (ODNI). Over the course of 18 years, Martin worked for a total of 8 different defense contractors. In 2009, Harold Martin started to work for Booz Allen Hamilton, for which he was a contractor at NSA from 2012 to 2015, when Booz transferred him to the Pentagon’s Office of Acquisition, Technology and Logistics (AT&L), which is responsible for often highly sensitive and classified procurement programs. There he stayed until the moment of his arrest last August, after which he was also fired by Booz. It's interesting as well that in the charges against Martin, a whole paragraph is dedicated to the at least six documents from 2014, which are described as being produced "through sensitive government sources, methods, and capabilities". As signals intelligence is traditionally seen as the most sensitive capability, maybe just these six documents are from NSA. After the "Shadow Brokers" disclosed a large set of secret NSA hacking tools last August, the FBI began investigating this leak. At the same time there was a lot of speculation: was NSA hacked from the outside? Had an NSA hacker been sloppy? Were the tools leaked by an insider? Maybe the same insider responsible for earlier leaks that hadn't been attributed to Snowden? On September 22, it was reported that during the FBI investigation, NSA officials had said that a former agency operative had carelessly left the hacking tool files available on a remote computer, where Russian hackers found them. If that's correct, then it seems likely that the FBI traced Harold Martin when they were looking for that careless NSA hacker. It has not yet been confirmed that Martin was that person though. 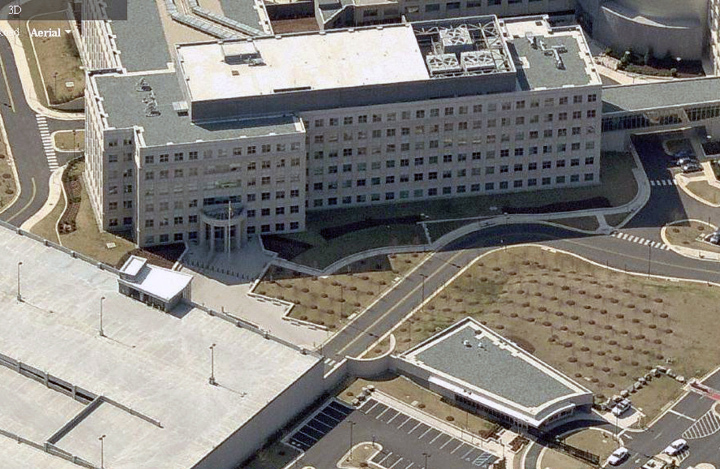 Harold Martin was working at NSA's hacking division TAO around the time when the tools were considered to be left exposed, somewhere after October 18, 2013, but a former TAO hacker told the Washington Post that Martin "worked in the unit’s front office carrying out support roles such as setting up accounts, not conducting actual operations." Even if Martin was the man who left the hacking tools exposed, then we still don't know who found them and published them under the name Shadow Brokers. It's not very likely that this was done by Martin himself, as Shadow Brokers published additional messages on August 28, October 1, October 15, and October 31, when he was already in custody. The actual publication can therefore be the work of for example Russian, Iranian or North Korean hackers or even independent hacktivists. Could Harold Martin also be the source of earlier leaks, that were not attributed to Edward Snowden? In theory he could have been that "second source" next to Snowden: none of these other leaked documents (like the TAO catalog, XKEYSCORE code, tasking lists and end reports) are newer than 2015, when Martin left NSA. Contrary to this Martin is described as very patriotic, which doesn't fit the fact that these particular leaks were clearly meant to harm and embarrass the US and NSA. Also, Martin hasn't (yet) been charged with espionage or the attempt to provide classified information to a third party or a foreign government - which doesn't seem something the US government would leave out or keep secret after the recent and unprecedented statement in which the Office of the Director of National Intelligence accused Russia of hacking the Democratic National Committee (DNC) and other political organizations. Should the FBI investigation confirm that Harold Martin was only responsible for leaking the NSA hacking tools (after which unknown others published them) and that none of his documents were provided to foreign intelligence agencies or showed up in the earlier revelations, then there's most likely yet another leaker from inside NSA. 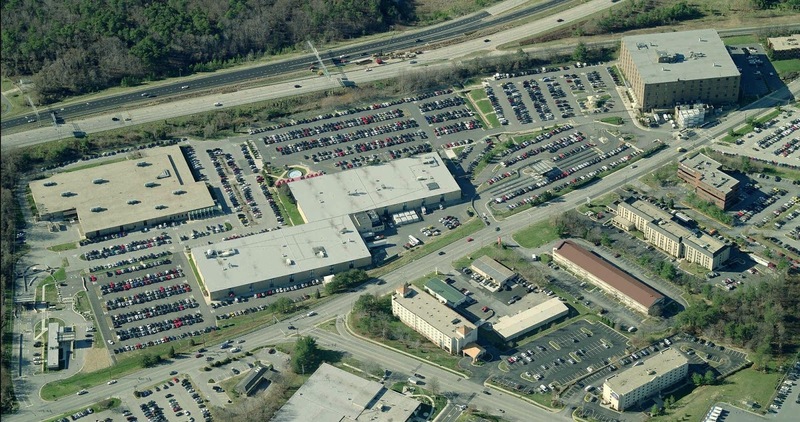 The NSA's hacking division TAO, where Harold Martin worked for some time, is apparently not located in the well-known NSA headquarters building at Fort Meade, but in one or more leased office buildings outside, one of them at an office complex called Friendship Annex (FANX) near Baltimore. TAO also has units at NSA's four Cryptologic Centers across the US. It's not clear whether these new systems failed in the case of Harold Martin, or that they simply weren't yet implemented at the TAO location where he worked - anti-leak software that was designed by Raytheon to "spot attempts by unauthorized people to access or download data" was also not yet installed at the NSA facility in Hawaii when Snowden was working there. Tracking what employees are doing inside is one thing, checking what they take out is another. 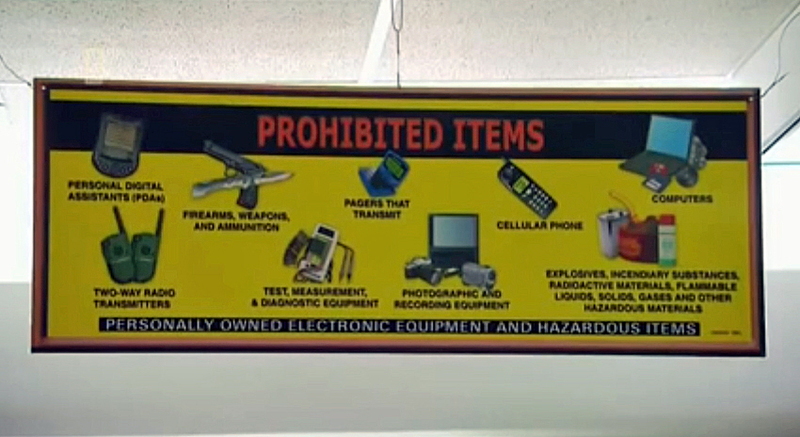 But according to The Washington Post, the NSA (like other agencies) does not impose universal checks of personnel and their belongings as they enter and leave agency buildings. Security guards only conduct random checks and use their discretion in order to keep en build the trust of the employees. "If you have a bag full of stuff, you’re probably going to get stopped" said a former TAO operator to the Post, but, in general, "Disneyland has more physical security checks than we had". This was confirmed by two other former NSA employees, saying that "nobody does pocket checks" and that "Anything that could fit in a pocket could go out undetected". It would also take hours to screen every person leaving NSA buildings, and because the vast majority of employees go through extensive vetting, so there's an inherent amount of faith in staff at the agency. Besides checks, NSA facilities will also have detection gates, but it seems that it was easier for Snowden to walk out with his thousands of documents than many would have thought. As former NSA general counsel Rajesh De explained, it is unlikely "you’re going to be able to stop every incident of somebody taking documents if they’re determined to do so. But the real question is how quickly can you detect it, how quickly can you mitigate the harm of any such incident." If not, then there has to be yet another careless NSA employee, but then it's also still possible that the hacking tools came from a source responsible for a range of earlier leaks. So far it seems that Martin isn't the source of those earlier leaks, which means that the so-called "second source" is still at large. In August 2014, Bruce Schneier was probably one of the first who identified a second and a third leaker besides Snowden. Many more similar leaks followed and a full list of them was compiled on this weblog in December 2015 (still being updated). As an excerpt of this listing, a short overview of the most important non-Snowden leaks was published in The New York Times last week. Shortly after this blog posting was published, The New York Times came with a new report saying that the volume of classified documents Harold Martin had in his possesion seems larger than those stolen by Edward Snowden and even than those of the Panama Papers from 2015. FBI investigators apparently also found that the TAO hacking tools were among Martin's documents, but because he is not very cooperative, it is still not clear how they came in the hands of the mysterious Shadow Brokers, who subsequently published them. So far there's no evidence that Martin was hacked or that he sold information. On October 20, it was reported that the FBI had found the huge amount of 50 terabytes of data at Martin's home, but it is not yet clear how much of that is actually classified. Also found were "hard-copy documents that were seized from various locations during the search that comprise six full bankers’ boxes worth of documents" with many of the documents marked Secret and Top Secret. One document was marked Top Secret/SCI and had this additional caveat at the top of the document: "THIS CONOP [Concept of Operation] CONTAINS INFORMATION CONCERNING EXTREMELY SENSITIVE U.S. PLANNING AND OPERATIONS THAT WILL BE DISCUSSED AND DISSEMINATED ONLY ON AN ABSOLUTE NEED TO KNOW BASIS. EXTREME OPSEC [Operational Security] PRECAUTIONS MUST BE TAKEN" - Martin had no need to know for this operation. Harold Martin appeared in court for the first time on Friday, October 21. There, his lawyer said that things like an "unlocked garden shed, stuffed with more classified documents than the contractor [...] could ever read, might be a symptom of a mental disorder" - and also that keeping top secret material in plain view in his home and car was not the conduct of a spy or a political activist. Although he was charged with the relatively minor criminal offenses of theft of government property and unauthorized retention of classified material, Martin had to stay in jail because he could be a threat to national security as investigators couldn't rule out that he might have hidden classified information in other, yet undisclosed locations. Even after seven weeks of investigation, the FBI was still not able to show whether Martin gave any of his documents to anyone else, nor could they link him to the Shadow Brokers. A legal document filed by federal prosecutors on October 27 says that the information stolen by Harold Martin included numerous names of intelligence officials working under cover outside the United States. It is not clear whether these officials were from NSA or from other US intelligence agencies where Martin had worked as a contractor. We also don't know how many documents Harold Martin actually stole from NSA: everything that matters within that agency is classified under the SCI compartment SI (Special Intelligence), but so far, the FBI investigation only mentioned very few documents that were classified as Top Secret/SCI. On February 6, 2017, The Washington Post reported that, according to US officials, Harold Martin allegedly took more than 75 percent of TAO’s library of hacking tools with him, which would be an unprecedented security breach. Harold T. Martin III was indicted on February 8, 2017, on charges of stealing and retaining the largest heist of classified information in US history. The documents were taken from US Cyber Command, CIA, National Reconnaissance Office (NRO) and NSA. Martin was not accused of passing information to foreigners, nor of being the source for the Shadow Brokers publications. - John Schindler: Has the Russian Mole inside NSA finally been arrested? - New York Times: N.S.A. Suspect Is a Hoarder. But a Leaker? Investigators Aren’t Sure.